On Jun. 6, 2017 General John E. Hyten, commander of U.S. Strategic Command (USSTRATCOM), presented the 2016 Omaha Trophy to the 5th Bomb Wing (BW) at Minot Air Force Base (AFB). 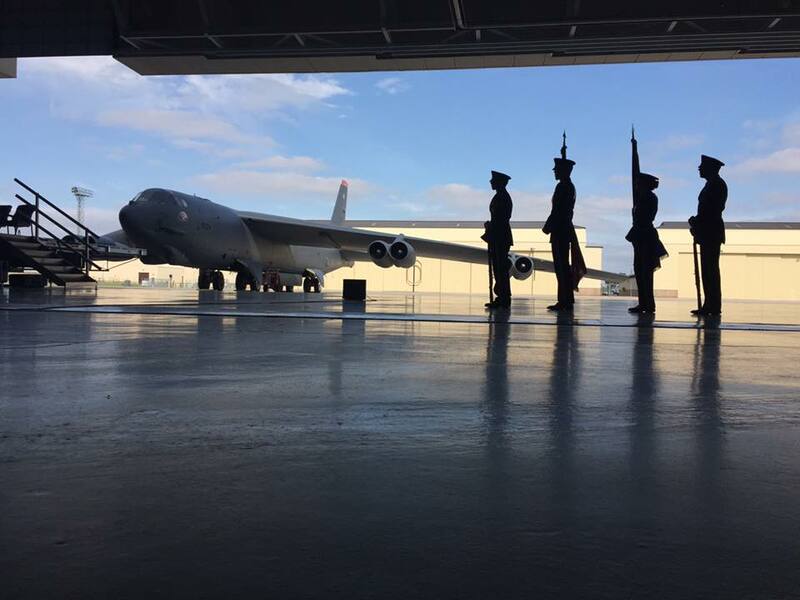 As explained by Airman 1st Class Austin M. Thomas, Minot Air Force Base Public Affairs, in the article 5th Bomb Wing awarded 2016 Omaha Trophy, the unit was named the 2016 Omaha Trophy recipient in Feb. 2017, making it the fifth time the unit has been recognized, as the command’s premier strategic bomber wing, in the Strategic Bomber category. 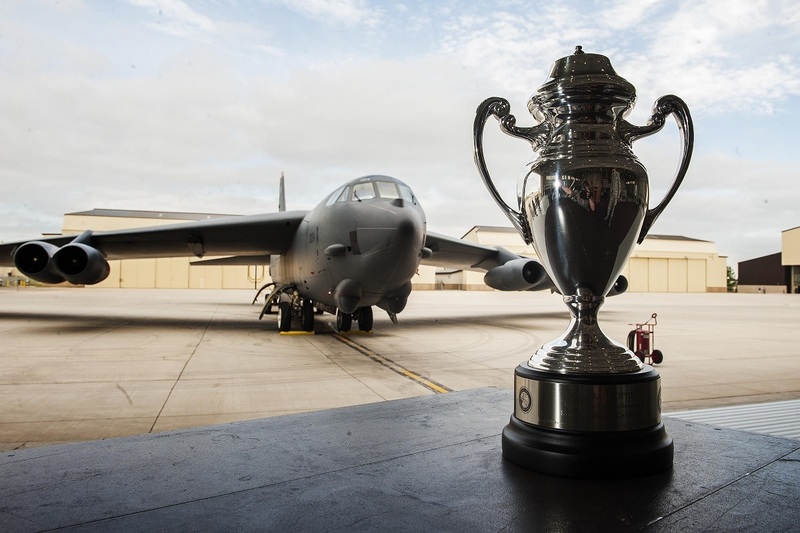 Noteworthy the Omaha Trophy dates back to the U.S. Air Force’s Strategic Air Command (SAC) and was originally created, in 1971, by the Strategic Command Consultation Committee. At the time, a single trophy was presented annually as a token of appreciation to the command’s best wing. As of today Omaha Trophy is awarded annually to five units that represent USSTRATCOM’s mission areas, their role in global operations and USSTRATCOM’s continued emphasis on strategic deterrence. Selections are based on formal evaluations, meritorious achievement, safety and other factors such as community involvement and humanitarian actions. During the trophy presentation Hyten stressed the importance of the deterrence mission to more than 200 5th BW Airmen. He commended the excellence 5th BW Airmen show every day in aiding global deterrence and other missions, and how their support provided around the world is critical to those missions.